Indooroopilly Uniting Church is located at 74 Station Road, opposite the bus exchange at Indooroopilly Shoppingtown. Parking is available behind the church and in the shopping centre. 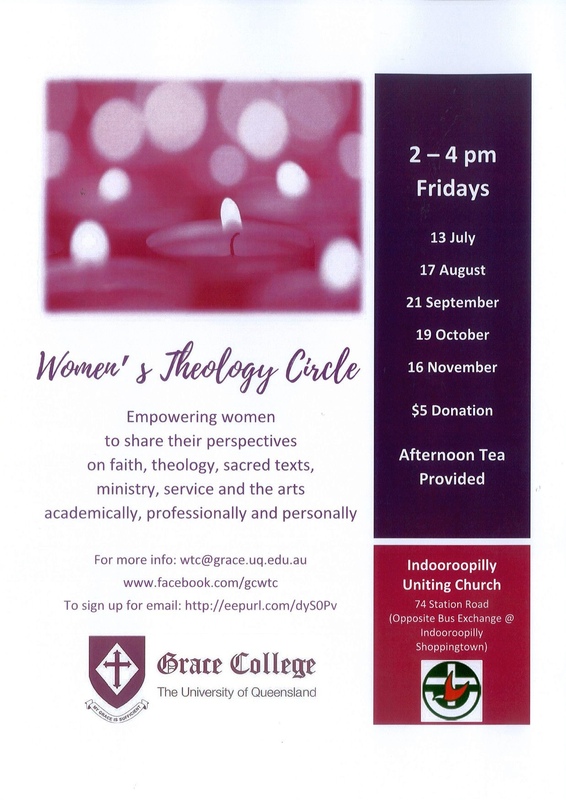 A small donation of $5 is requested from participants in the Women’s Theology Circle afternoons to assist with covering costs; and a simple afternoon tea will be provided. In announcing this re-launch, we are signalling a renewal of this project as a partnership between Indooroopilly UC and Grace College. As you may know we have had to cancel the planned Grace College Women’s Theology Conference for 2018. This cancellation has also meant that we have reconsidered the ongoing viability of the Women’s Theology Program at Grace College. 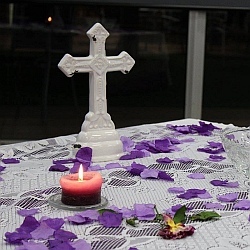 Earlier this year, we were delighted at the response to a women’s theology afternoon with visiting scholar, Prof. Katharine Sakenfeld at Indooroopilly Uniting Church. Indooroopilly is one of the local congregations of Grace College’s 2 auspicing churches (Presbyterian and Uniting); and the afternoon was co-organised and sponsored by Indooroopilly UC and Grace College. A good-sized ecumenical group of women and some men gathered. We think this partnership might be the best way forward for continuing the original aim of the Women’s Theology Program at Grace College, i.e. to empower women to share their perspectives on faith, theology, sacred texts, ministry, service, and the arts academically, professionally and personally. Grace College is delighted to continue this relationship with Indooroopilly UC who also support us by participating in the College Council and the Godparent Program.